RIM’s 16GB PlayBook isn’t generating enough revenue with its price tag of $199, so the company has decided to discontinue it completely. However, RIM does plan to continue to manufacture the 32GB and 64GB models. Most tablet manufacturers are struggling because they’re competing with the iPad, which dominates sales in the tablet market. 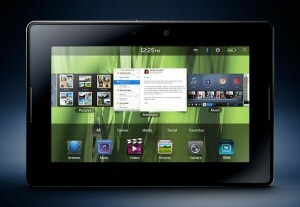 RIM has faced significant trouble since getting involved in the tablet market. The iPad and the Kindle Fire take up around 60% of the market alone, while the other 40% is split between assorted Android-based devices such as the Galaxy Tab. Still, the PlayBook has good reviews and has been called “more stable than any Android platform based tablet.” If you’re just looking for a tablet that runs e-mail and e-books with ease, the BlackBerry isn’t a bad choice.